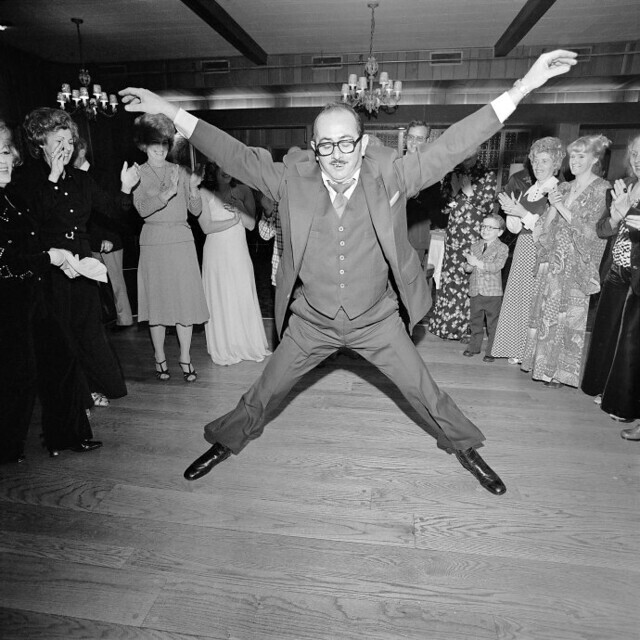 Man in a Three-Piece Suit Dancing Within the Circle at a Wedding,” Rockville Centre, New York, 1976. 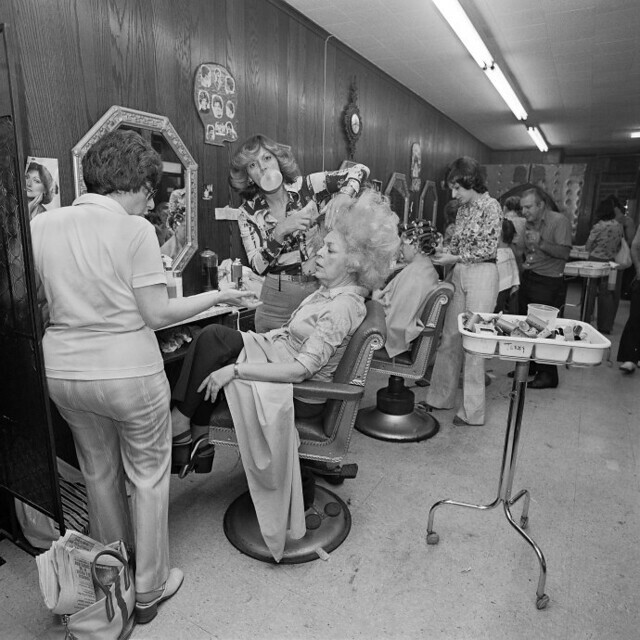 “Mom Getting Her Hair Teased at Besame Beauty Salon,” North Massapequa, New York. 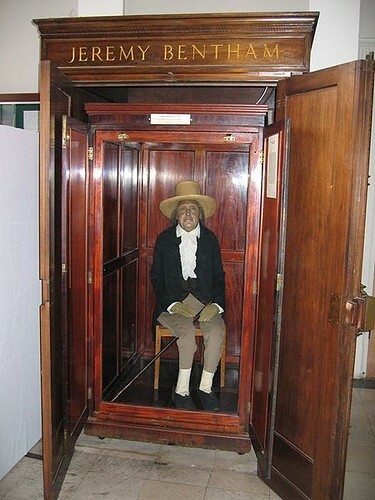 As we prepare to reune, we might spare a utilitarian thought for Jeremy Bentham; the author, jurist, philosopher, and legal and social reformer died on this date in 1832. Bentham is considered a founder of modern Utilitarianism (via his own work, and that of students including James Mill and his son, John Stuart Mill); he actively advocated individual and economic freedom, the separation of church and state, freedom of expression, equal rights for women, the right to divorce, and the decriminalizing of homosexual acts. He argued for the abolition of slavery and the death penalty, and for the abolition of physical punishment, including that of children.